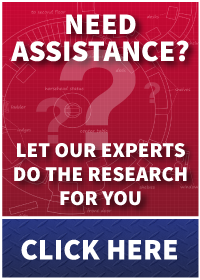 Deming manufactures one of the most complete and diversified industrial lines of pumping equipment. Renowned for outstanding durability, efficiency and low-maintenance, Deming’s product range includes end suction general service and process pumps, ANSI horizontal and vertical inline process pumps, horizontally split double suction single and two stage pumps, submersible motor and vertical column sump pumps, and horizontal and vertical solids handling pumps. They can be applied wherever fluids must be reliably and efficiently transferred -- from general industry to nuclear applications. 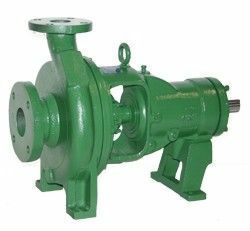 All purpose centrifugal pump designed to B75.1 specifications, heavy duty service for liquid ranging from water and light hydrocarbons to heavy slurries. 14 sizes available with high temperature ranges to 600 degrees Fahrenheit. 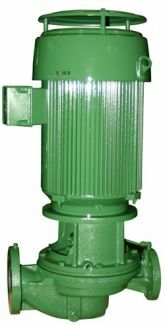 Deming and Weinman General Service Vertical Column Sump Pumps are designed to handle various fluids from drainage water or any liquid waste containing small, non-fibrous solids to larger industrial processes. Their advanced design provides trouble-free service and low-cost operation. Deming Inline Pumps feature a space saving, back pull-out design which allows versatile applications in a wide range of industries. Available in 11 size configurations. 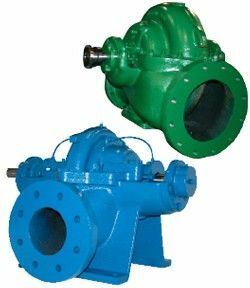 ANSI pumps meet the dimensional requirements of ANSI B73.2. Deming Horizontal split-case single stage; general purpose split case pumps are designed for continuous service handling of both hot and cold fluids.